If you’ve ever installed multiple operating systems on your computer, you know what a severe pain it can be when something goes wrong. Even removing one of your multiple OSes can be a hassle when bootloaders get all screwed up. For me, the answer to these problems is VirtualBox. VirtualBox is a simple, cross-platform virtualization solution that lets you set aside a chunk of hard disk space, give it a name, and then you just tell it, “I want to install linux here”, pop in your install disc (or whatever), and VirtualBox takes care of the rest. Voila, linux running in a window – inside Windows itself. It’s really handy! Only one problem: Sometimes when VirtualBox is installed (but not even running), your Windows networking may get REEEEALLY slow. You may not even be able to see other machines on your local network. Fortunately, there is a very quick and easy way to fix it! Click Change adapter settings on the left. It turns out that on every computer I’ve installed VirtualBox on, the “virtual ethernet adapter” is NOT required for VirtualBox to establish network connectivity in my virtual OS installs. Disabling VirtualBox’s virtual adapter has no effect whatsoever… except that networking in my Windows 7 host OS starts working normally again. I spent about a week trying to figure out what was wrong with my LAN settings. Hopefully now you won’t have to! 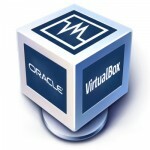 Note that VirtualBox is totally free, and it’s available for Windows, OS X, Linux, and Solaris. Best of all, the performance of a virtual OS install is almost as fast as a native install. It really is zippy! So, give it a try. Don’t worry, there is an online VirtualBox user manual. It’s a piece of cake to set up. Yeah that works, but that is not the proper fix (at least on Windows 7). The host only is needed for shared folders, and it is not the primary reason for the slow networking. The reason for the slow networking is a bad autodetection of the network settings. You DO NOT want Windows to automatically detect settings when Virtualbox is installed. Go to Control Panel => Internet Properties => Connections tab => LAN settings, and make sure all of the checkboxes are UNchecked. After I did this and rebooted, the difference was night and day! A little late thank you. I was about to uninstall Virtualbox, that’s how bad it was! Disabling host-only does NOT seem affect shared folder. Adapter 1(Setting) – Nat and connect via cable. IE – Options : Customize Security. Just restart Virtual box or without restart also internet will come 100%. Still it is taking close to one minute for connection. Do we have other workaround?